One of Apple’s most successful marketing claims has always been that simply owning a Mac instead of a PC can help keep your computer safe from malware. For many years that claim was valid, but unfortunately that’s no longer the case. Recent studies indicate that the number of successful malware attacks on Macs has skyrocketed in recent years, and the problem is getting worse by the day. And truth be told, Macs aren’t really as resistant to malware as previously thought. Of course there’s still a LOT more malware out there targeting Windows PCs than Macs, but that’s little consolation considering it only takes one malware infection to ruin your entire day, especially if you get it by ransomware. The bottom line here is that Mac owners can no longer take it for granted that their machines are safe from malware without running some type of security software. Times have changed and you definitely need to protect your Mac from the ever-increasing attacks. There are a number of good anti-malware programs available for Macs out there, but as always I recommend Avast Mac Security. And as of the time of this writing, you can get it for free at Amazon. 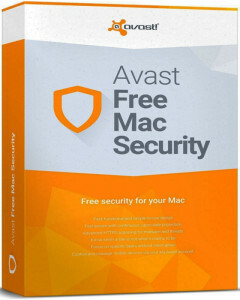 I’ve been using and recommending Avast’s excellent security software to PC owners for years, and now I’m recommending that Mac users install it as well. As they say, better safe than sorry. The number of installed Macs keeps growing year by year, so we can expect the amount of malware that’s designed to attack them to keep increasing as well. Protect your digital life by installing Avast Mac Security today. Bonus tip #1: You can also run Malwarebytes on your Mac for free! Click here to learn more. Notes: The links in this post are affiliate links.